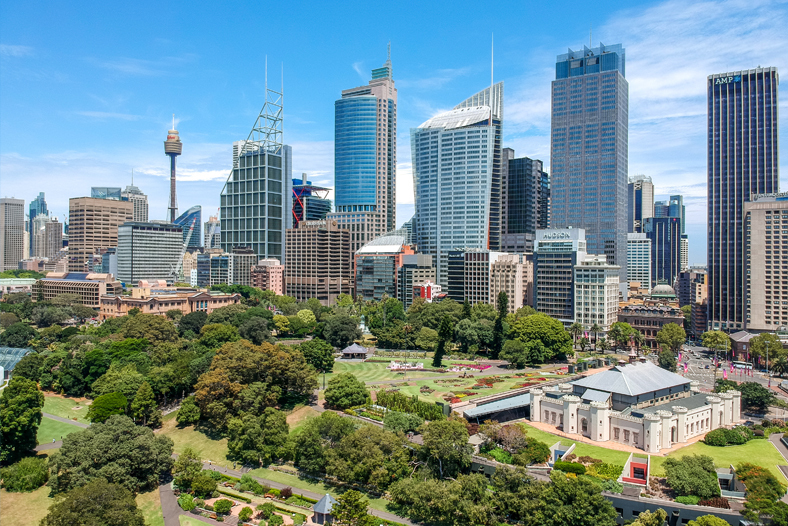 Located adjacent to the Royal Botanic Garden on the eastern fringe of Sydney’s CBD, the Sydney Conservatorium of Music is one of the oldest and most prestigious music schools in Australia and considered the nation’s premier music institution. In a recent redevelopment of the Conservatorium, the splendour of the Gothic Picturesque-style c1820 Government Stables building was revealed anew by the removal of1960s-era additions and the creation of new campus facilities for the Conservatorium High School that were partially submerged beneath a reconstructed section of the Royal Botanic Garden. Sitting between the old and the new is a dramatic three-storey Atrium that cuts into the sandstone of the site and links the colonial stables centrepiece to the new concert hall, 270-seat music workshop, twin recital halls and some 130 practice rooms. Fittingly for a structure that brings together the historic and the modern, the Atrium’s new roof also had to do the same, requiring a heritage-inspired profile with modern corrosion-resistant properties. 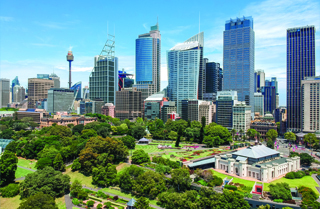 The engineers had been charged by their client to find a trafficable roofing solution that would emulate the existing standing seam profile while also standing up to the corrosive environment created by close proximity to Sydney Harbour. In a pleasing coincidence for the engineers, Will Pereyra, Lysaght Business Development Manager Commercial/Industrial – NSW, was paying a professional call to deliver design manuals and other literature at the time and the talk quickly turned to a Lysaght solution. “A key element really was the location. In any instance where a structure is located close to salt water and exposed to salt spray, an aluminium component can be introduced for its corrosion resistance and the fact you get a very good warranty,” Will stated. With PERMALITE FLEXLOK-AL® roofing now on the table, Lysaght’s support for the engineers continued with quick provision of comprehensive product information and technical advice required for reports to the client – including information on installing insulation and the provision of CORSTRIP® protective film to safeguard the roofing sheets in transit – plus product samples and even a prototype created and supplied to illustrate the fixing method. With the client confident in the specification of heritage-inspired PERMALITE FLEXLOK-AL® roofing in the rich grey PERMALITE® colour Moon Shadow®, Lysaght then set about supplying the 250 roofing sheets, all in varying lengths, required to roof the Atrium. “The Atrium itself is an unusual shape, almost an elongated coffin-like form in that it tapered at different angles along every side, so we produced a sheet layup for the client that showed each sheet laid out with a number for its placement,” explained Will Pereyra. “Our production team then produced each numbered sheet to a length that allowed a little extra on the end which could be cut to suit the taper of the roof at the particular point they would be laid. “It was a fairly painstaking and carefully calculated process, however it definitely made roofing the large and rather complex shape much easier. It’s always Lysaght’s goal to do all we can to support cost-effective and efficient completion of a project and that was definitely the case at The Conservatorium,” Will concluded. A concealed fix, standing seam roofing system with an innovative architectural appearance, PERMALITE FLEX-LOK AL® roofing is made from marine grade aluminium, can be rollformed on site to allow for long continuous rooflines, and provides outstanding watertightness, durability and stunning aesthetics. Also a very versatile profile, PERMALITE FLEX-LOK AL® roofing accommodates the most complex roof configurations, including curved surfaces, and allows smooth transitions between roof planes and between the roof and other building elements, with a variety of end panels and ridge covers capping off the most complex roof design. PERMALITE FLEX-LOK AL® roofing can also be tapered from the standard 400mm profile and reduced to 220mm – and on special designs can be expanded to create a 600mm cover width sheet that will taper down to 220mm – to allow curvilinear buildings to be accommodated with ease. PERMALITE FLEX-LOK AL® roofing is available in the unpainted, lustrous mill finish, a stucco embossed mill finish, and a range of quality paint finishes.